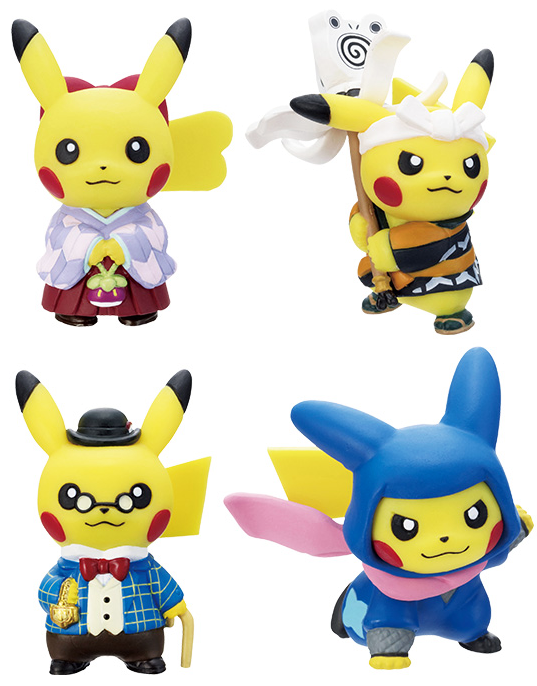 The dress up Pikachu from Tokyo DX Pokemon Center grand opening are back in figure form! 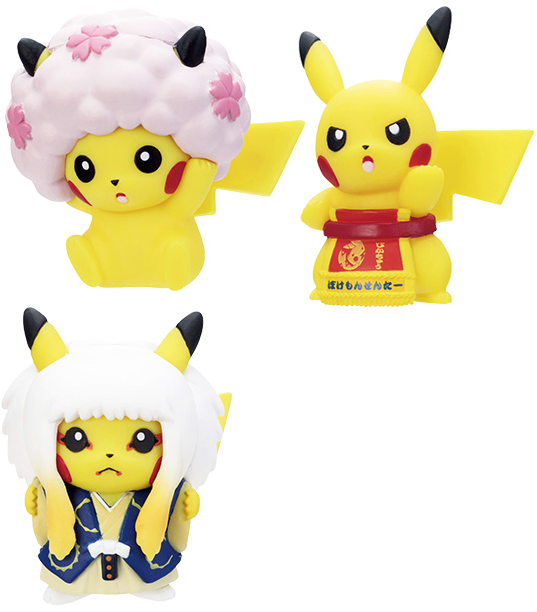 Figures are 300 yen each. 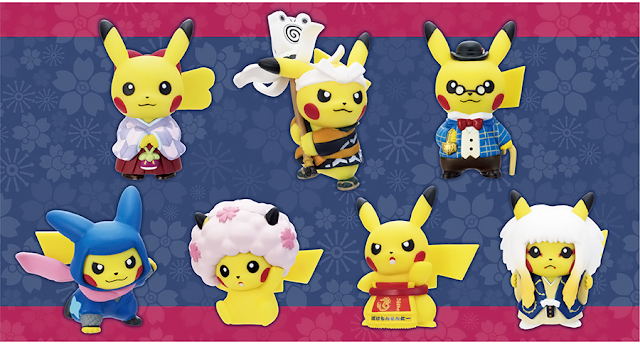 They will be released in gachapon machines on April 25th, 2018.